We decided to step back in time and visit the oldest cafe in Memphis, the Arcade Diner. 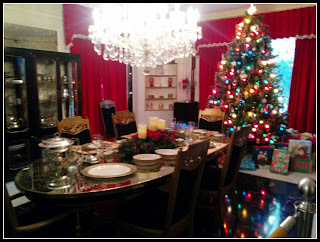 It was a perfect traditional diner with massive helpings of food. Looking at the menu it dawned on me that we were half way through our southern road trip and I still had to try that famous dish, “grits”. The name alone will raise an eyebrow. Much to my surprise a bowl of starch appeared. I kept looking at it as I ate the rest of my food and final asked Dom why had he ordered Tapioca. I’ll be honest, grits weren’t my cup of tea, a nice bowl of tapioca however would have gone down a treat. I could have spent an hour picking the grits out of my teeth but it was time to visit a place that sends chills of excitement down the skinniest of spines, Graceland. As an accidental homage to Elvis, Dom was wearing his navy desert boots/blue suede shoes so I donned my white, jewel encrusted, jumpsuit and off we went. 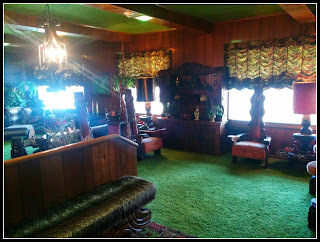 I had expected the home of Elvis to be gargantuan and smothered in a barricade of trees. In reality, it is right there on the highway, surrounded by motels, RV parks and diners. It is modest in size (as mansions go) but I liked that. 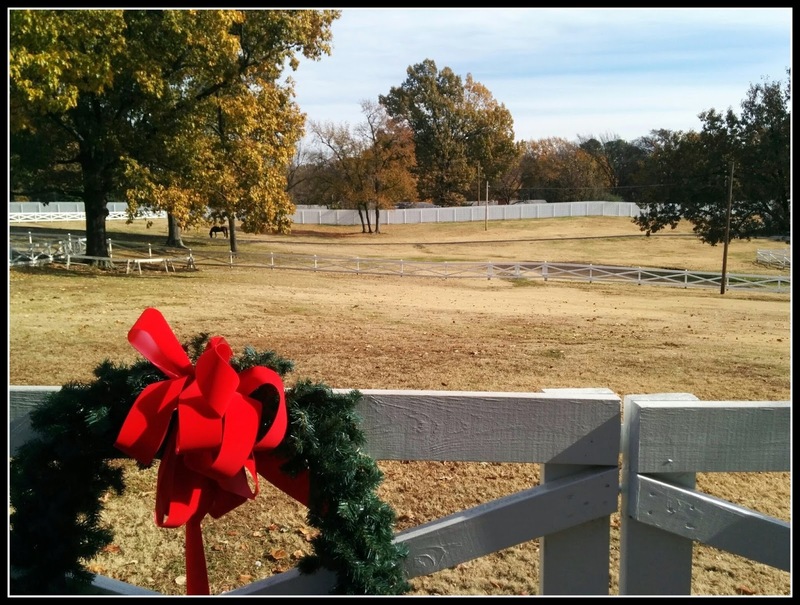 Elvis grew up in a two room shack, and when he was 22 and getting famous he bought Graceland for his mother. It was a grand house that suited a proud mother and a small town Mississippi boy done-good. You are given an ipad as you enter the house to assist you in your tour. It’s a nice idea in theory but led to all sorts of tech issues and Jungle Room pile-ups as people lost themselves in the screens. However, it was interesting to hear the ipad voices of John Stamos (?! 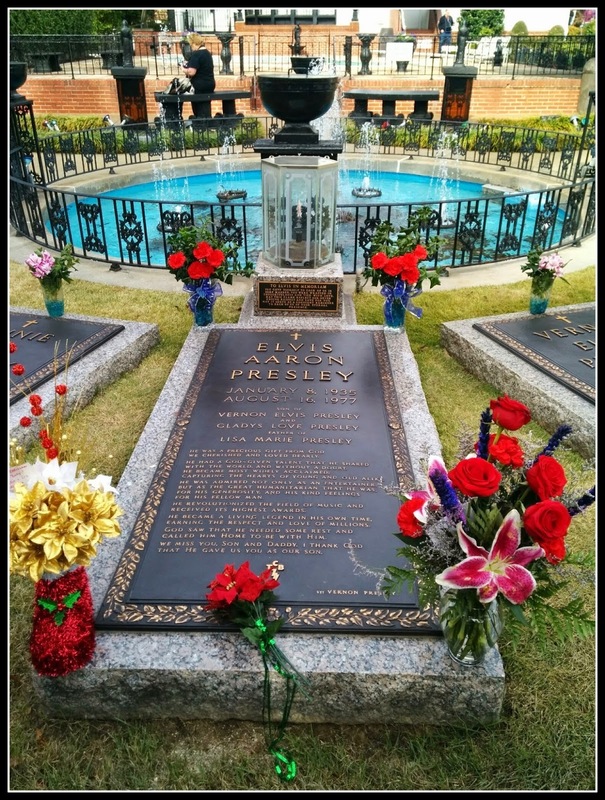 ), Priscilla and Lisa Marie guiding you around Graceland. It was touching to hear Lisa Marie speak in such awe of her father. 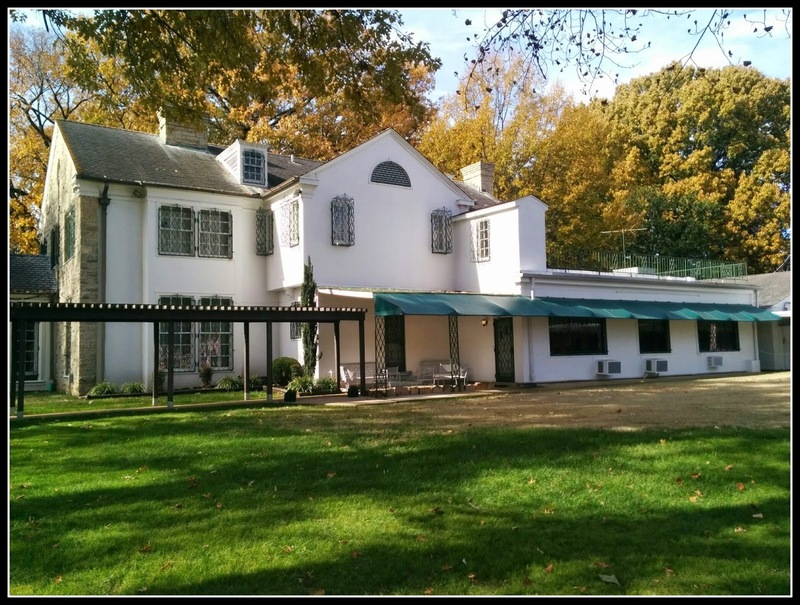 Given the iconic status of the house, it’s easy to forget that it is still considered ‘a home’ for Lisa Marie. When she is in town she comes to Graceland and sits down in the dining room for family meals. I was so taken aback by that fact, I stopped suddenly in my tracks and caused the first of many Presley pile-ups. It was the start of the jaw dropping Graceland moments. Walking by Elvis’s kitchen and downstairs to the Jungle Room was a boogie back in time to the 1970s. 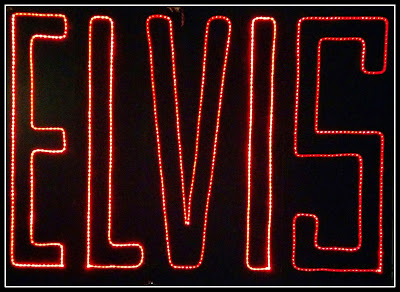 My peripheral vision was constantly on alert in case the ghost of Elvis was about to round the corner belting out Heartbreak Hotel with his jewelry a janglin’. 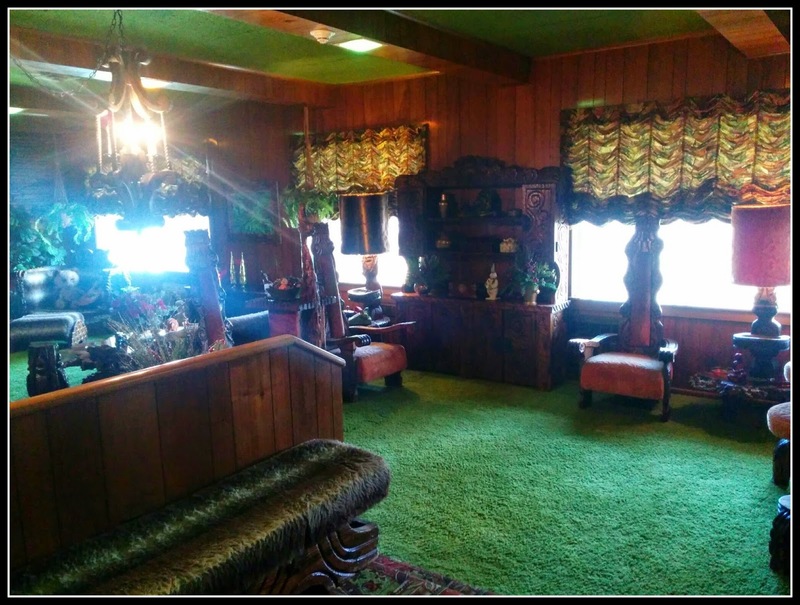 It felt incredibly special to be in the house of such a legend, a house that was part homely, part 70s tackorama, my camera couldn't stop snapping. He was a strikingly handsome man (pre Vegas years) and the many (many) photos of him about the house will mesmerize you. You can imagine him in the kitchen making a sandwich (like all good southern kitchens it was always in use even during the night). You can picture him in the Jungle room singing over his breakfast (apparently his ritual). My second jaw dropping moment had perhaps more to do with gravity as I tilted my head all the way back to inspect the carpeted ceiling (yes, carpet on the ceiling). The Jungle Room was fashioned this way to help with the acoustics for Elvis’s jam sessions (peanut butter and jam sessions perhaps). 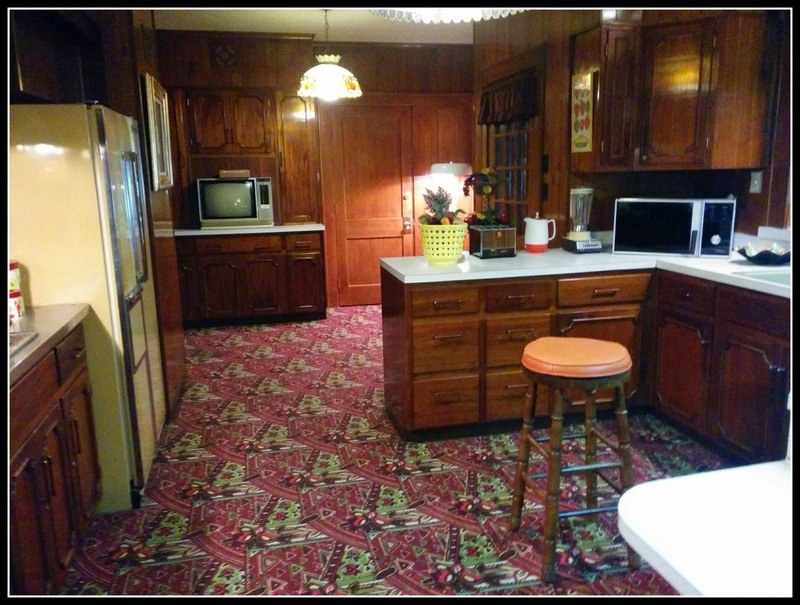 It looked like 1970s bizarre madness to me. "Down in the Jungle Room"
You leave the main house to visit his racquetball court… say what now? Yes, much to everyone’s surprise (well, certainly to my surprise) Elvis was a keen racquetball player. I was even more taken aback to learn he was a keen equestrian, horses still roam the acres of the Presley estate to this day! Graceland wasn’t quite as opulent and immense as I had expected but the surprise at its homeliness was a pleasant one. More in keeping with the Elvis I had imagined, the tour waltzes you into the Trophy Room (I gotta get me a trophy room, that will sit next to my whiskey room, but first I gotta get me some trophies!). Gazing at all his gold records smashed home just how successful and talented he was. The golden boys success was found in his crossover appeal. He was good looking with a hint of rebellion (Ed Sullivan would only allow him on his TV show if Elvis was filmed from the waist up as his hip shaking was too controversial). Yet, in contrast to this controversy, he had such humble good southern manners that the older generation couldn’t help taking a shine to him. 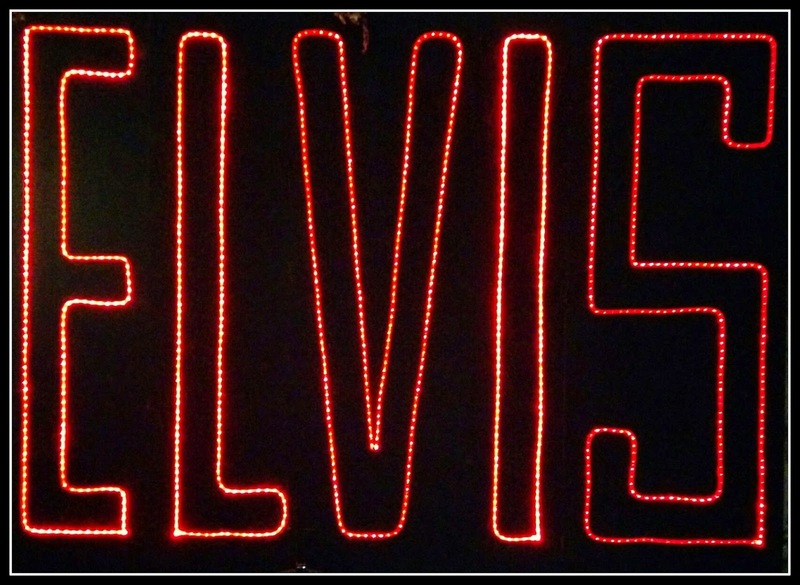 When NBC broadcast Elvis singing from Hawaii it drew more viewers than the moon landing! Just when you think the glass cabinets of Elvis memorabilia is neverending the staff tell you that only 10% of it is on show in Graceland. The rest is in storage and is rotated in and out, perhaps a good reason to keep visiting Graceland if you're a fan, it's never the same twice! "One for the money, two for the show"
To switch things up a gear we moved from the house to check out Elvis’s car collection and private jets. My jets have always been public and jumbo, and my car collection is made up of one SUV, it was exciting to board the ‘PJ’ (insider speak) and wander among the buffed up, top down, shiny rides. As the last of the visitors filtered out of the house, we moved quietly, en masse, all drawn to the great singers graveside. While reading the gravestone I was reminded that Elvis had a twin, his brother Jesse had died at birth (an extra tinge of sadness to a sombre moment).